Shop on Vacation during Holy Week and Easter Week. ​Please allow 3-5 days for processing on your order. Occasionally there are may be extra time needed due to the volume of orders. If you have a deadline feel free to let me know. If I can rush your order I will do so.. Note that the Season of Lent creates volume. April and May are the busiest time of the year for this store. In stock items can upgrade shipping to Priority Mail Express. These items will ship within 24 hours. This service guarantees delivery in 2 days from Postal pick up...and can also deliver overnight in some cases. Please contact me to notify me of your RUSH. Your order will only be overnight delivery if I receive it in a time for the days early postal pick up. You MUST contact me in advance to be sure that your product is available for immediate shippin. Orders under $50 are usually shipped by USPS First Class Mail. Orders over $50 are usually shipped by Priority Mail. . Contact me if your order has a rush needed, or a deadline for delivery. Express Mail (Overnight service) is available for in stock items, but contact me first. Please note that insurance on your package is not included in the regular shipping fees. I strongly urge customers to contact me if they wish to pay extra for insurance on their package. As a small business owner I cannot be responsible for failures on the part of the Postal Service. Please contact me before placing your order. I will be able to ship your package by First Class Mail with insurance. But this will not post automatically in check out. So you must contact me to recieve this. Please contact me before placing your order. I will be able to ship your package by First Class Mail with insurance. But this will not post automatically in check out. So you must contact me to find out the rate for shipping based on weight. 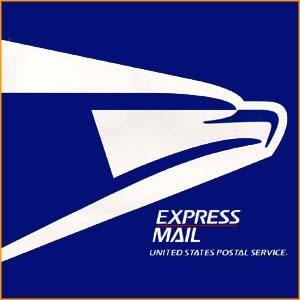 Express Mail --- $50.50 -- Tracking and Insurance, ships on Wednesdays--- 3-5 days transit. Customer is responsible for all import taxes and duties. This is a rosary remake for a customer. If I am fixing a rosary for you and there are no charges involved, then you can choose the Rosary Repair at the right to pay for the shipping. Please do not purchase this Service without prior approval. If I need to charge a fee I can edit this amount before you purchase. Please note that I do not sell Blessed Rosaries. This is not allowed by the Church. One CANNOT sell a blessing. Please take your rosary to a priest in your parish to have it blessed. It is also worth noting that when a rosary is dismantled or broken into pieces it is no longer able to fulfill its purpose and loses its.blessing. Returns of items that have any flaws are accepted within 14 days of shipping. You must notify us of your intention to return the item(s) within 7 days. Before returning items, Please email me about your return, the reason and shipping method back to us. I recommend a tracking number and encourage you to insure your package. Please note that I make every effort to photograph these rosaries true to life. However it is the case that computer monitors display colors and tones differently so that what looks true to life on my computer, may look slightly different on your monitor. I cannot be held responsible for this difference in image quality. Please note: Returns are not accepted on Custom orders. For custom rosaries that are remakes of the rosaries pictured on the website, you should note that these are natural stones. Therefore, no two stones will be exactly alike. I do my best to choose stones that are as close to the photograph as possible. I would not make a rosary with stones that in my judgement are substantially different. 5 Decade Rosaries strung on Jewelers wire are guaranteed against breakage with normal use for a period of 1 year. After that time, I will need to charge for my labor. For the strung rosaries and necklaces (made with 49 strand Jewelers wire), normal use does not include storing them in your pocket, wearing or sleeping with them, or dropping them. If wire breakage does occur within the guidelines above please contact me to arrange repair. You must enclose your Proof of Purchase in the form of a receipt. Labor is free, but buyer is responsible for shipping. All beads and parts must be returned to me in order to repair your piece. Within reason, please enclose any broken parts as well. Rosary bracelets are not covered under this guarantee because they can be subjected to such abuse in every day wear. If you live an active life and will wear your bracelet every day, it is best to order the Heirloom Construction for the greatest strength. If a repair should be required the Heirloom Bracelets cost $5 for repair. The Strung Bracelets are $8 for repair. Shipping and supplies are an additional fee. The stretching of cable is not covered under our guarantee. It is the nature of the cable rosary that the wire can stretch over time. 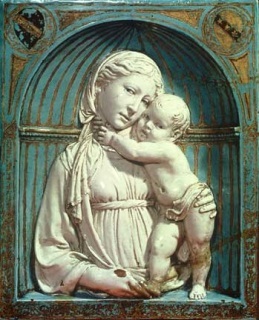 It does not affect the strength of the piece, or the use of the rosary for prayer. I take special measures to remove extra stretch before I finish the rosary, but some rosaries may still stretch. Most people do not mind a little play in the Hail Mary beads of the well used Jewelers Wire Rosary. Please consider purchasing an Heirloom Rosary if the slight movement of beads will bother you..
All 5 Decade Heirloom Rosaries are guaranteed for life against wire breakage. The Heirloom Rosaries are made with gemstones that are connected with solid wire that is hand turned and linked from bead to bead. This solid wire does not stretch or break. In the unlikely event that your Heirloom rosary should come apart because of failure on the part of the wire please contact me to arrange repair. Labor is free, but buyer is responsible for shipping. All beads and parts must be returned to me in order to repair your piece. Please note that dropping your rosary will void this guarantee, because it will may cause stones to become weak and crack. A rosary with broken beads is not covered under this guarantee. If your rosary has a broken bead you may contact me for a repair. Whenever possible I am happy to help replace your beads and fix your rosary...Buyer will be responsible for the cost of materials and labor. Please note, that I choose gemstone beads that are very hard, I have as yet never had a gemstone bead crack. Please treat all Sacramentals with the respect and care that is appropriate.